Jivochat Review - Connect with More Customers to Convert Them! Jivochat Review – Connect with More Customers to Convert Them! In order to make your Website or eCommerce platforms more interactive and suitable for end users, you need to add a Live Chat System in your Web page. Through this, you can easily interact with your customers for any kind of help and first-time visitors to turn into paying customers. If you are a blogger or a publisher or an Internet marketer or doing affiliate marketing no matter what type of business do you running you should need a professional Live Chat tool to make your business more profitable. In the market, there are various tools and services are available that offers Live chat solution for your online business. Here in this blog, we will discuss about one of the trendy online chat service “JivoChat”, if you want to make your business smart and increase your profit then you should know all the facts about JivoChat. JivoChat is a professional Live Chat service that offers a verity of the great feature for all types of businesses to start to chat with the end user in a proactive manner. Your chat agent can characterize the logic of the chat window to interact with end users instantly, which make it easier for the chat agents to do their jobs effectively. Via JivoChat you can record the service quality ratings from your end customers and use the insights to evaluate the agent’s performance. This tool makes the evaluation process completely handy, so one can easily detect the problem spots. 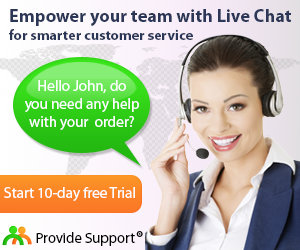 JivoChat helpdesk platform is capable to deal with the end user problems and the answering of questions. Via this tool, you can also convert your website visitors into paying customers. 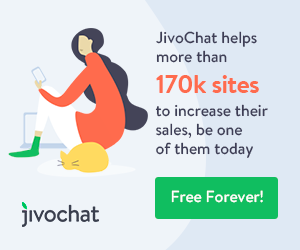 With the help of JivoChat’s live chat feature you will never lose a sale, simply start chatting with your website visitors and help them to purchase your product/service. According to JivoChat, you have only 15 seconds to answer a question before your visitors lose interest, that’s why this tool is fast and snappy to easily accomplish the task. JivoChat offers 24/7 support to deal with any kind of issues and troubles. If you face any type of issue then you can easily contact them and get help without worrying about the time. JivoChat integrates with the several systems and applications some of them are Google Analytics, Shopify, Joomla, WordPress, Magento, amoCRM, Ecwid and Bitrix24. Beautiful Chat Designs – This tool is very sleek and responsive in design, so you don’t need to worry about the shape or size of your website. It is easy to integrate JivoChat into your website. More than Text Chat– It not only offers text chatting as you can still capture your user’s attention by voice call feature. This tool has the ability to do voice call with a single click using the microphone connected to their system. Compatible with All Devices – Device doesn’t matter, as JivoChat allows you to chat via your website visitors on mobile devices. You can connect with your visitors from a mobile device, tablet, PC, or Mac. 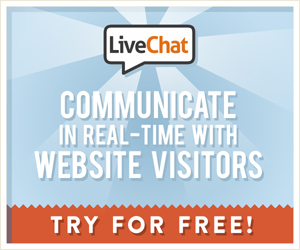 Real Time Visitor Details – When you start chatting with your visitor then you can also see their details. With the JivoChat you can get details like what web browser they’re using, Internet Service Provider, IP address, GEO location, and in what pages they’re currently browsing. These details will help you to serve them better. Track Your Employees – Hiring virtual workers is not good for your business, as it is tricky to know that they’re really working. But JivoChat allows you to track your agents very deeply, you can exactly know how often your chat agents are working. This will help your business even if you are away for days or even weeks. Blacklisting – If you are facing any kind of trolls, curmudgeons, bots, and hackers then you can easily blacklist troublemaking end users in JivoChat. These are the common scenarios and with this tool, you can deal them effectively. NOTE: The Professional Plan also offers a 14-days trial plan without any cost. To use this trial period you don’t need to provide your credit card details. YES, I Want to Use JivoChat‘s for Free ! If you are searching for a basic live chat solution for your business then JivoChat is perfect for you as it offers all the basic with some advanced features. Coming to its pricing, you can use this tool for free. Its Free subscription has some limitations. Its professional plan also offers a 14 days trial period to understand this software completely. It is suggested to go with either its FREE PLAN or a 14 days trial period first, and it suits your business then you can further subscribe its professional plan. Applozic Review: Chat & Messaging SDK for All types of Business!